On Thursday, Feb. 1st, the DGS boys and girls track & field teams will conduct a Parent Meeting and Team Time Trial meet. The event will start at 6:00pm in the DGS fieldhouse. Both the boys and girls coaches will speak to the parents about their respective teams and the 2018 season. Following the Parent Meeting, both teams will conduct several time trial races. The girls will be competing in the shot put, 55m dash, 200m dash, 1200m run, and 4x400m relay. The DGS girls team will officially open up the season on Saturday, Feb.10th at Hinsdale Central. 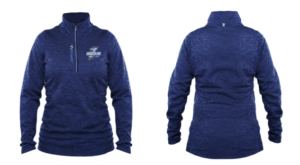 The team spirit wear store is open and will close on Jan.30th. The access code is 62207. 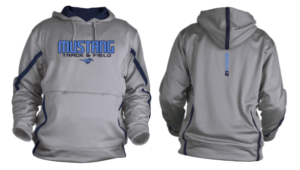 Author Coach PlunkettPosted on January 23, 2018 January 23, 2018 Categories Track & FieldLeave a comment on Team Spirit Wear! One week until Track & Field season begins! The 2018 Girls Track & Field season will begin on Tuesday, January 16th. All girls who are interested in joining track must register online and turn in a valid physical BEFORE the first day of practice on the 16th. This is only 1 week away, so don’t miss out by missing the deadline! Author Coach PlunkettPosted on January 9, 2018 Categories Track & FieldLeave a comment on One week until Track & Field season begins!